The MiG 27 UPG was on a routine mission from Jodhpur. The crash happened on Sunday morning in Gondana near Sheoganj of Sirohi. Jodhpur: A MiG 27 UPG aircraft of the Indian Air Force (IAF) crashed near Sirohi district of Rajasthan. The incident happened on Sunday morning in Gondana near Sheoganj. The aircraft was reportedly on a routine mission from Jodhpur. Soon after the incident, fire tenders and the IAF local officers rushed to the spot, reports suggested. 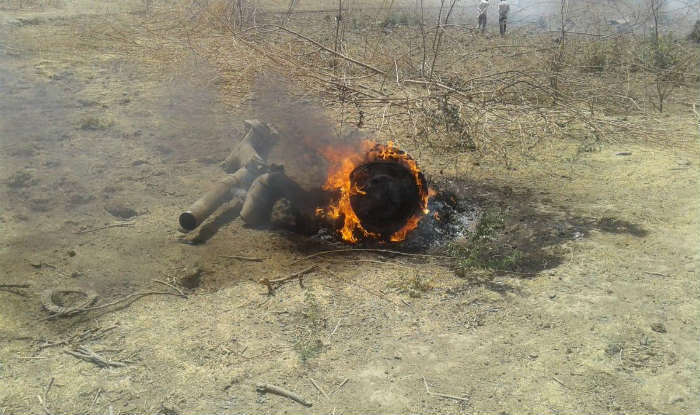 “Today morning at around 11.45 hours a MiG-27 UPG aircraft which got airborne from Utarlai Air Force base experienced engine problems leading to a crash about 120 km south of Jodhpur. Pilot ejected safely. Preliminary reports indicate no loss of property/life on ground,” the IAF issued a statement. A court of inquiry has been initiated to probe the cause of incident. In a similar incident on March 8, an IAF fighter plane MiG-21 crashed at Shobhasar village near Bikaner district in Rajasthan. The pilot ejected safely before the fighter plane crashed. The fighter plane took off from Nal Air Force station. It is located approximately 13 kilometres west of Bikaner. A court of inquiry was ordered to ascertain the cause of crash. However, media reports suggested that the accident happened due to bird hit.